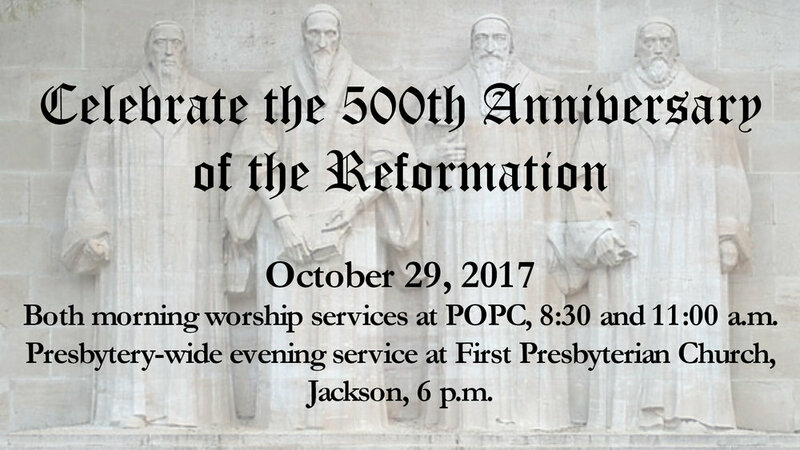 Celebrate the 500th anniversary of our great reformation heritage! On October 29 we will celebrate with hymns accompanied by a brass quintet at both morning services. On Sunday night, October 29, our Sunday evening service will be held at First Presbyterian Church in Jackson at 6:00 p.m. We will join with our entire Presbytery to remember God's grace to His people in this turning point in church history.